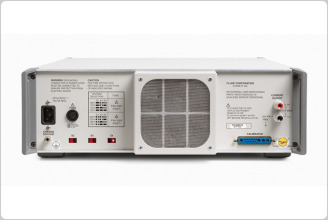 The 5725A Amplifier enhances the 5700A Series Multifunction Calibrators in the ac voltage, ac current, and dc current functions. 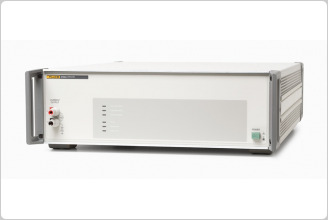 The 5725A operates under complete control of the 5700A Series calibrators through an interface cable supplied with the 5725A. 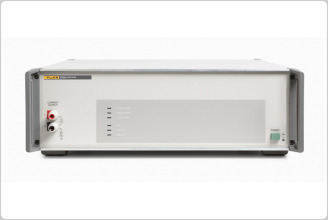 Voltage output from the 5725A is available at the 5700A Series Calibrators' front or rear binding posts. This eliminates the need to move cables during a procedure that requires amplified as well as standard calibrator outputs. The 5725A front or rear panel OUTPUT binding posts are only for current output. Extended-range ac and dc current is supplied through them. Since most meters with a high current range use a separate high current input terminal, this configuration normally eliminates the need to move cables during a procedure. 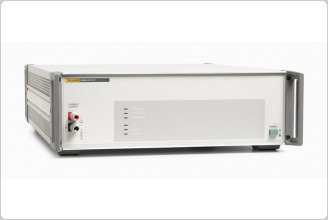 If a single-point current output is needed, the 5700A Series Calibrator can be configured to source all current outputs through the 5725A binding posts.